crime scene, a family slaughtered. The local homicide detective, a headstrong woman with personal demons of her own, joins forces with Puller in the investigation. As Puller digs through deception after deception, he realizes that absolutely nothing he's seen in this small town, and no one in it, are what they seem. 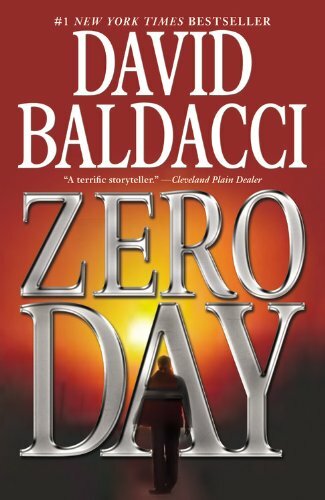 Facing a potential conspiracy that reaches far beyond the hills of West Virginia, he is one man on the hunt for justice against an overwhelming force.David Baldacci is one of the world's favorite storytellers. His books are published in over 45 languages and in more than 80 countries, with over 110 million copies in print. David Baldacci is also the cofounder, along with his wife, of the Wish You Well Foundation, a nonprofit organization dedicated to supporting literacy efforts across America. Still a resident of his native Virginia, he invites you to visit him at www.DavidBaldacci.com and his foundation at www.WishYouWellFoundation.org, and to look into its program to spread books across America at www.FeedingBodyandMind.com. the Camel Club. He also published a novella entitled Office Hours and has authored five original screenplays. His titles,The Hit, King and Maxwell, The Finisher, The Target and The Escape made The New York Times Best Seller List.